As we mentioned in our previous post, we bring you the live stream from the Harry Potter Celebration from Universal Orlando Resort! Not everyone is lucky enough to get to attend A Celebration of Harry Potter — so, we’re bringing the event to you. Check out the video, below to experience part of this spectacular event from Universal Orlando Resort. You’ll even learn some wand combat tricks! 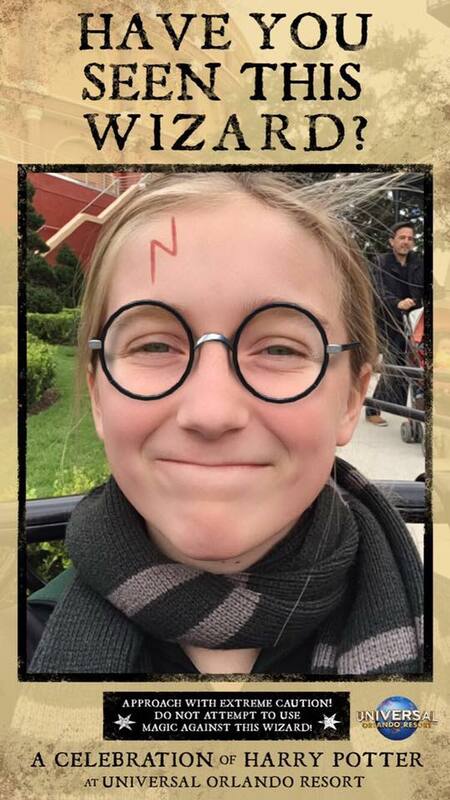 Also, the Harry Potter Celebration will have a special event SnapChat filter for you to use! The SnapChat geofilter will be available in all event locations at Universal Studios Florida and Islands of Adventure. Set against the backdrop of Universal Orlando’s amazing theme parks, you’ll explore The Wizarding World of Harry Potter™ – Hogsmeade™ at Universal’s Islands of Adventure™ and Diagon Alley™ at Universal Studios Florida™. With park-to-park admission, you can even ride the Hogwarts™ Express to travel between both lands. Dine at the Leaky Cauldron™ and the Three Broomsticks™, see a wand choose a wizard at Ollivanders™, then experience Harry Potter and the Escape from Gringotts™, Harry Potter and the Forbidden Journey™ and other thrilling attractions. Want to get all our tips and tricks for visiting the Wizarding World of Harry Potter? We wrote a travel guide for the Wizarding World of Harry Potter Hogsmeade and Diagon Alley! We included all our tips and tricks that we’ve learned over the last few years to make your visit to the Wizarding World of Harry Potter as magical as possible. Be sure to check them out! Plus, book your Universal Orlando Resort vacation with Destinations in Florida and you’ll get them both for FREE! That’s a $40 value!